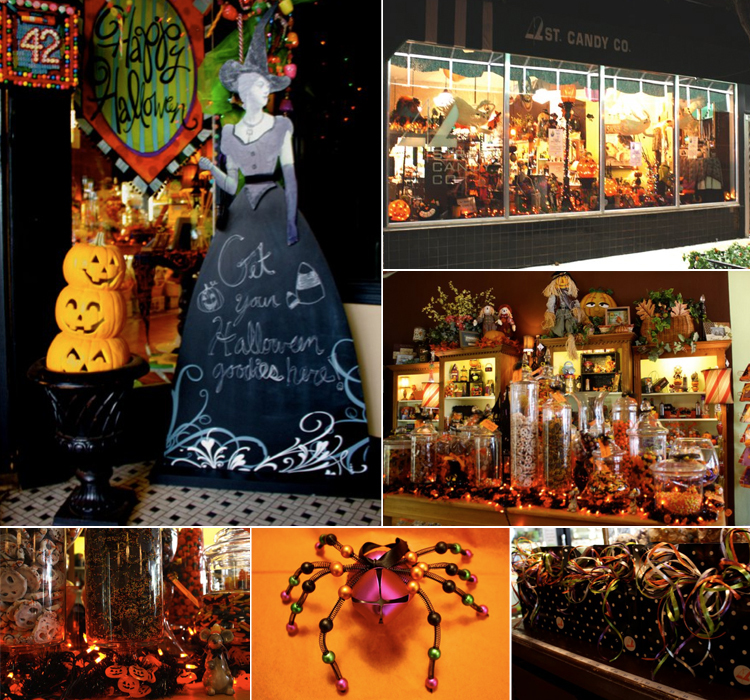 With Halloween’s festivities at hand we just had to send along this spooky storefront! 42nd Street Candy Co. in Oklahoma City, is serving up a ghoulish surprise! For tricks and oh-so-many treats, you have to stop by today! Stock up on their incredible assortment of goodies, from chocolate covered pretzels to scary spiders! Check out all of their confectionery delights for weddings as well. If you’re planning a candy bar at your reception 42nd Street Candy Co. has an infinite stock of colors, candies and creativity to bring your ideas to life. Stop by or call today, (405) 521-8337- 4200 N. Western, Oklahoma City, OK, 73118. Happy Friday!